So that brand new Galaxy S5 that launched in February isn’t quite the best model Samsung has to offer. Rumors suggested an even better handset was in the works and Samsung confirmed it on Wednesday. 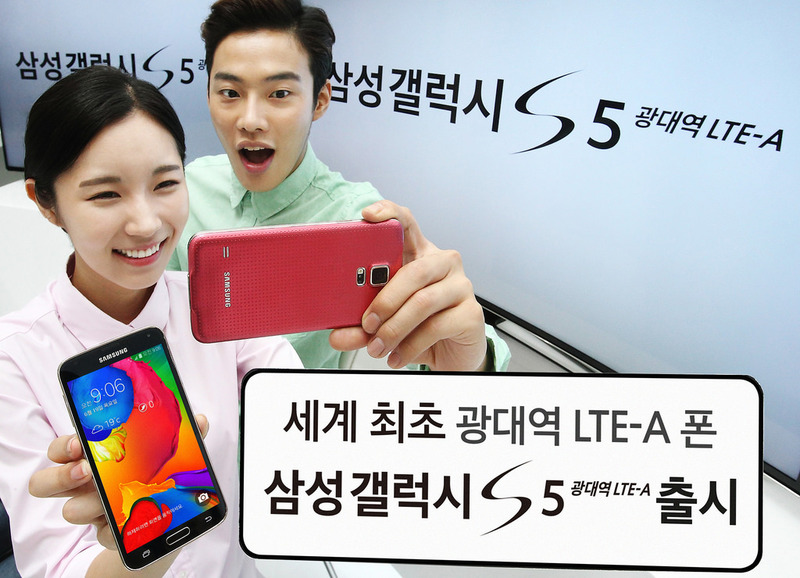 In South Korea, the company’s home country, Samsung launched the Galaxy S5 LTE-A with a faster processor and higher resolution display. Engadget notes the phone is the first to use Qualcomm’s(s qcom) quad-core Snapdragon 805 chip and the 5.1-inch display gets a boost to QHD, or 2560 x 1440, resolution; the same as the LG G3 display which has already impressed my four eyes. The new GS5 actually has a higher pixel density — 557 pixels per inch — than the G3 due to having a smaller screen. Samsung says the new phone supports Korea’s LTE-A network with download speeds up to a whopping 225 Mbps. Samsung Tomorrow’s Flickr account, which shows off the phone, says the handset was launched “exclusively for its home market” so there’s no news of an improved Galaxy S5 outside of Korea at this time. That could change, particularly since Qualcomm’s Snapdragon 805 chip is sure to power several new handsets going forward. Instead of waiting until next year’s flagship phone cycle to hit, I wouldn’t be surprised to see Samsung (and others) retool their current phones soon with Qualcomm’s speedy silicon.